Rockville, December 6, 2011 – Trunnell Electric just completed the electrical portion of the	nearly $1 million renovation for the luxurious new 8,000 square foot Rolls-Royce Bentley home	which is located on Woodmont Avenue close to Wisconsin Avenue in Bethesda. 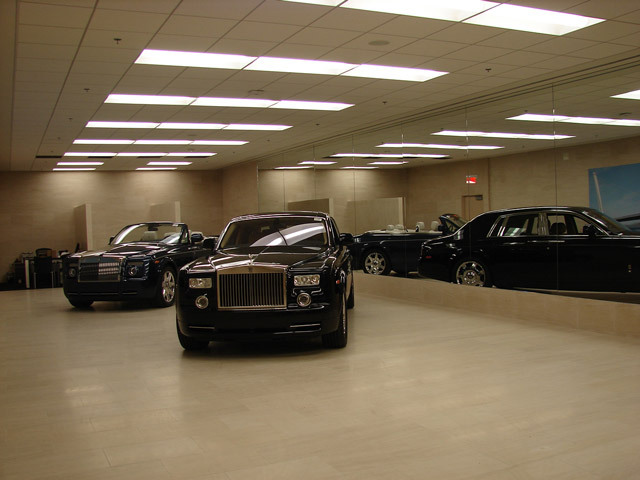 Working with general contractor Therrien Waddell Construction Group, Trunnell technicians installed new	power wiring, fire alarm, and state of the art lighting to capture the beauty of these hyper	luxury vehicles. Rockville, MD (October 26, 2011) – Responding to the call of good stewardship, and using Pepco’s rebate program, St. James Episcopal Church in Potomac, MD has found substantial energy dollar savings by launching a lighting retrofit program. In fact, the cost of the work will be paid for in rebates and electricity savings in less than two years. “It’s gratifying to us when our customer understands the long term value of this program, then is pleasantly surprised with the short term results thanks to Pepco’s rebate” said Trunnell Electric owner Jack Trunnell. Trunnell technicians recently completed the retrofitting of nearly 200 aged fluorescent light fixtures throughout the main church building and the parish hall/ classrooms to new technology tubes and ballasts. One new electronic ballast (or transformer) replaced two old magnetic ballasts for each 4 tube fixture. The old inefficient 40 watt tubes were replaced by 28 watt which at the same time actually improved the light output. Since the classrooms are used nearly every day the enhanced lighting at a lower cost comes as a bonus. Also, Trunnell replaced 23 old exit light fixtures with new LED exits garnering additional energy savings and rebate dollars from Pepco. Air conditioning costs are lower too. The newly retrofitted lights actually burn cooler thus reducing air conditioning loads during the hot summer months. And the new tubes and ballasts last longer. Family run Trunnell Electric provides commercial and residential services to the community for 75 years. For further information call 301-258-8300. Rockville, MD (April 7, 2011) – For 75 years, Trunnell Electric has been operating as a successful family owned business in the DC Metro area. Founded in 1936 by W.K. Trunnell, Sr. and then joined by brother L.B. "Dutch" Trunnell two years later, a tradition of electrical excellence has propelled the company ever since. Today, Dutch's three sons—Lee, Rick, and Jack, along with grandson Brad—lead the firm. Serving residential and commercial properties, small and large construction projects, the Trunnell trucks can be spotted from Fairfax to Frederick to Columbia, and many areas in between. "We've been back numerous times over the years"
As Trunnell Electric reflects on its 75 years in business, the 1950's and 60's stand out as a key time for growth; it's estimated that the company electrically wired around 65% of homes built in Bethesda, Chevy Chase and Upper Northwest in DC. Lee Trunnell states, "We find that we are still working in homes that we originally wired as "new" back in the 60's. For many of these, we've been back numerous times over the years upgrading electrical equipment and updating to the latest design trends such as recessed and specialty lighting." Older residents may recall Trunnell Electric's lighting fixture showroom located on Wisconsin Avenue in downtown Bethesda with an impressive selection of over 400 light fixtures. Rick Trunnell comments, "in fact, we still occasionally get a call from an old timer who wants to know where we moved our showroom, even though we closed it in 1967!" "You know when you deal with us – it's my name on that truck"
Brad Trunnell states, "Customers today look for company accountability. You know when you deal with us – well it's my name on that truck, that proposal & invoice. Personal responsibility, integrity and quality service aren't just clichés — but concepts important to us and our customers." The Washingtonian Magazine agrees; in March 2011 Trunnell Electric was selected for the fourth time on their preferred list of electrical contractors. Additionally, they were awarded the Angies List Super Service Citation for 2010. A recent residential customer stated, "I never take risks with my electrical work. I've been using Trunnell for many years and trust them to keep my home and my family safe." "Decisions which suit both aesthetic and environmental needs"
Looking ahead Trunnell Electric has plans in place for how the family firm can further serve the residents and businesses of the DC Metro Area. Occupancy sensors and energy efficient lighting in businesses, and motion sensor type security lighting in homes are routinely requested. "Generators have been a large feature of our business for the last couple of years," says Jack Trunnell. "In addition, homeowners are becoming more environmentally concerned and energy conscious. They want to consider options which save energy as well as money. We also see with larger electrical remodeling projects—such as kitchens and additions—that we work closely with both the design team and homeowner to help them make informed electrical decisions which suit both their aesthetic and environmental requirements." As Trunnell Electric celebrates their 75th Anniversary in 2011, the company continues its emphasis on delivery quality, reliable services along with a renewed community commitment with a family values perspective to ensure their success for another 75 years. TRUNNELL ELECTRIC Wires Bethesda Building a 2nd time --- 40 YEARS LATER! ROCKVILLE, MD. (January 10, 2011) – Trunnell Electric recently completed the installation of all new wiring, fire alarm, energy efficient lighting and service equipment in the reincarnation of a four story office building, converted to brand new short term housing for homeless persons of the Bethesda community. The building, now called “Cordell Homes” is located at the corner of Cordell and Woodmont Avenues. It has modern separate, secure living quarters along with central kitchens and shower facilities located on each floor. The project was funded thru a public/private partnership involving Montgomery County, State of Maryland and utilizing federal TARP funds. 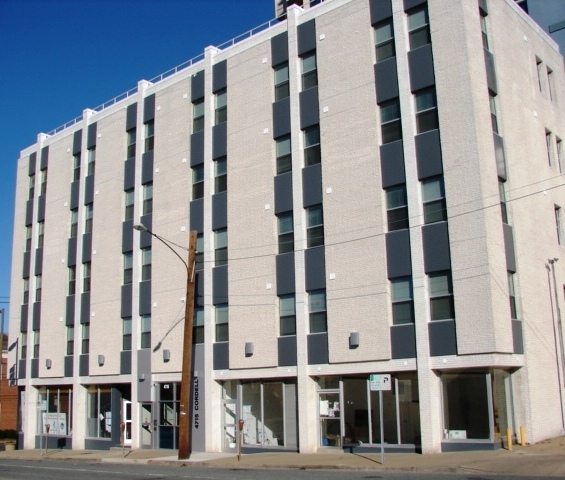 Working with general contractor C. M. Parker, Inc. on this project, Trunnell Electric wired the building the first time in 1968. “We were pleased to be a part of this project benefitting the community in a unique way, and having wired it originally over 40 years ago made it even more significant to us” commented Jack Trunnell. ROCKVILLE, MD. (January 25, 2010) – The Trunnell Electric Company has been awarded the prestigious 2009 Angie’s List Super Service Award. This award, now celebrating its 11th year, is reserved for companies who have achieved and maintained a superior service rating throughout the past year on Angie’s List – the nations leading provider of consumer ratings on local service companies. Fewer than 5% of the companies on Angie’s List meet the eligibility requirements to be considered for the award. “Our Super Service Award winners are the cream of the crop when it comes to providing the best customer service” said Angie Hicks, founder of Angie’s List. “Trunnell Electric is delighted to receive this award and we are grateful to our service technicians who we believe exhibit the highest standards in both their interaction with our clients and the quality of their work”, says Lee Trunnell, president. Angie’s List Super Service Award winners have maintained a total and overall grade of “A”, have received a minimum number of ratings, are not in Angie’s “Penalty Box” and have a satisfactory or better rating with the Better Business Bureau. Service company ratings are updated daily on Angie’s List, but members can find the 2009 Super Service Award logo next to Trunnell Electric’s name in search results on angieslist.com. TRUNNELL ELECTRIC Completes Gym Project at the LANDON SCHOOL. ROCKVILLE, MD. (July 14, 2008) – The Trunnell Electric Company recently completed the renovation and expansion project in the Barton Athletic Center at the Landon School. The $2.5 million expanded facility, called the Joshua M. Freeman Center for Athletic Achievement spans 2 floors and features a comprehensive state of the art fitness center, wrestling room, and separate cardio room. Trunnell performed all electrical work and lighting associated with this project under a contract with the Sandy Spring Builders. ROCKVILLE, MD. (June 14, 2008) – The Trunnell Electric Company recently completed a class A office building at M Square – The University of Maryland Research Park in College Park, Maryland. Trunnell Electric performed the electrical subcontract work for general contractor, Manekin, LLC, one of the regions premiere commercial builder/ developers. The $25 million building at 5825 University Research Ct. is a four story 120,000 square foot office structure and will be home for two Maryland centers that lead the university’s research to understand, predict and respond to global warming. Trunnell Electric also performed the electrical contract work for the first tenant, Earth Systems Science Interdisciplinary Center (ESSIC), whose research studies concentrate on the changing global climate. The building, registered with the United States Green Building Council is seeking a LEED Silver rating. ROCKVILLE, Md. (March 9, 2007) – The Trunnell Electric Company recently completed the new corporate headquarters for Manekin, LLC, one of the regions premiere commercial builder/ developers. The project was done in Columbia directly for the owner/occupant working with Manekin’s construction division. The new 52,000 square foot 2-story office facility embraces new green construction technologies and is the 1st in Howard County to be a Certified Silver Building thru the LEED (Leadership in Energy and Environment Design) program. The LEED Green Building Rating System is a voluntary consensus-based national standard for developing high-performance, sustainable buildings. Trunnell Electric installed occupancy sensors, automatic fluorescent dimming adjusting to available natural light, and high efficiency lighting fixtures. Complementing the HVAC, low-e glass and other systems enables this building to yield a 35% savings in energy use. Additional LEED features include: reflective roof materials to reduce heat absorption;, added insulation, water efficient landscaping, reduced water usage, use of green power (wind) for a portion of power needs, recycling of construction waste, recycled content in construction material and the use of low emitting adhesives, sealants, paints, carpeting and composite wood materials. “We were delighted to have a part in this innovative project for Manekin as we all move toward higher environmental standards in construction,” said President Lee Trunnell.